Justice Anthony Kennedy’s resignation from the Supreme Court in June has suddenly intensified concerns for pro-choice advocates. With President Donald Trump’s second SCOTUS appointment, and his rhetoric on the campaign trail, many fear a return to pre-Roe v. Wade days. While the high court should see a more solid 5-4 conservative majority soon, a full overturn of Roe v. Wade remains unlikely. But SCOTUS action could still compromise a woman’s right to choose to the point of rendering it infeasible. 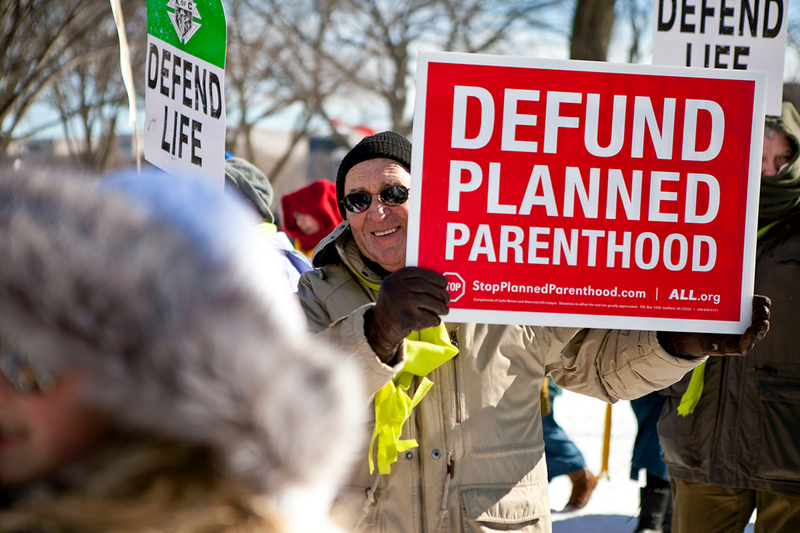 For Americans living in states that limit abortion, this grim scenario is already a reality. And a more conservative Supreme Court will likely prompt even more state restrictions on abortion providers. Blue states, meanwhile, are already scrambling to tie up loose ends, rushing to repeal old laws on their books that banned abortion yet have been ignored since Roe declared it legal in 1973. At the same time, a change in how abortion is medically administered means abortions are likely to keep happening — regardless of what federal judges rule. The availability of drugs that can safely terminate an early-stage pregnancy at home has changed the landscape for women seeking an abortion. In many cases, women can order the medications from websites and use them without the need to visit a health care provider. With this is mind, a question arises: How much will it matter if the Supreme Court limits or overturns Roe v. Wade, and abortions become either illegal or highly restricted in certain states? It might matter a lot, actually. Restricted access to family planning information and services is already a reality in some parts of the country, Donovan added. For example, Indiana’s Senate passed a law forcing women to have an ultrasound scan just before a planned abortion. But federal courts ruled against it, calling the extra step “an undue burden.” If the courts begin to allow this kind of restrictive action at the state level, many more women would seek an alternative to clinics, such as buying their drugs online. While a far cry from the old-fashioned horror stories about rusty coat hangers in back-alley clinics, how safe is a modern medical abortion, in reality? Currently, a dose of two drugs is given in the first 9–10 weeks of the pregnancy — first, mifepristone at the clinic, followed a few hours later by misoprostol, which the woman takes at home. The NASTY Women Act struck down a centuries-old state ban on the use of contraception by unmarried women. 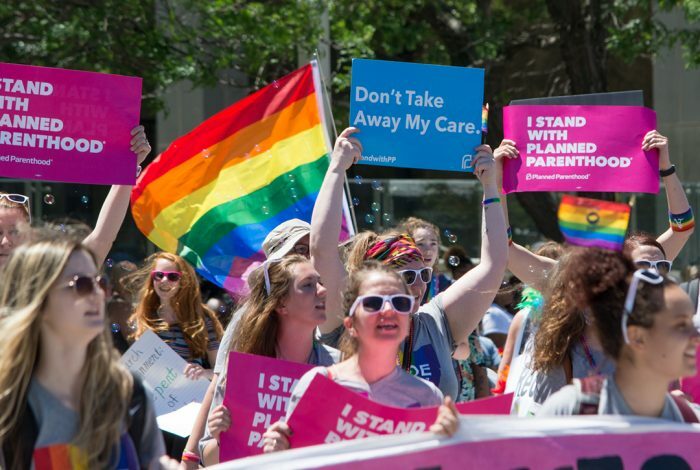 It also halted criminalization of the distribution of contraception, and repealed a requirement that abortions be performed in a hospital after the first trimester. Republican Governor Charlie Baker signed the act into law last week, a follow-up to a law protecting access to free contraception that he signed last November. Nine states go even further, with laws protecting an individual’s right to terminate pregnancy before viability, should the Supreme Court overturn Roe v. Wade. They are California, Connecticut, Delaware, Hawaii, Maine, Maryland, Nevada, Oregon, and Washington. Meanwhile, four states — Louisiana, Mississippi, North Dakota, and South Dakota — have laws that would kick in to ban abortion altogether. 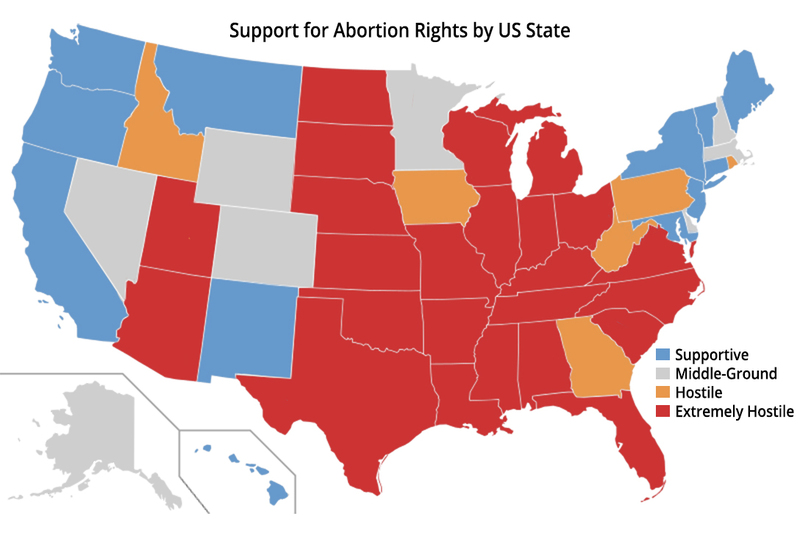 So where does this patchwork of state and federal legislation leave those in need of abortion? Donovan told WhoWhatWhy that the first, and best, plan of action is to maintain the status quo of access to information, contraception, and clinicians. “Clinical access needs to be protected and preserved, especially in light of the threat that a change in the Supreme Court offers,” Donovan said. And if clinics are outlawed? Donovan believes that knowledge is power. The ACLU maintains that a woman’s right to choose is a civil liberty, and more than half of America agrees, with the Pew Foundation pinning support at 57 percent. While the will of the people on this issue might be at odds with the trajectory of the highest court in the land, both sides — for and against a woman’s right to choose — are digging in deep for a fight that will likely transcend federal law. Related front page panorama photo credit: Adapted by WhoWhatWhy from Roe protest (American Life League / Flickr – CC BY-NC 2.0).